Nikolette LaBonte, a native of South Florida, is an alumna of KBHC and is thrilled to be returning as a staff member and starting as the Associate Operations Director in 2019! Nikolette is tenured as the Associate/Assistant/Utility Horn of the Rochester Philharmonic Orchestra. 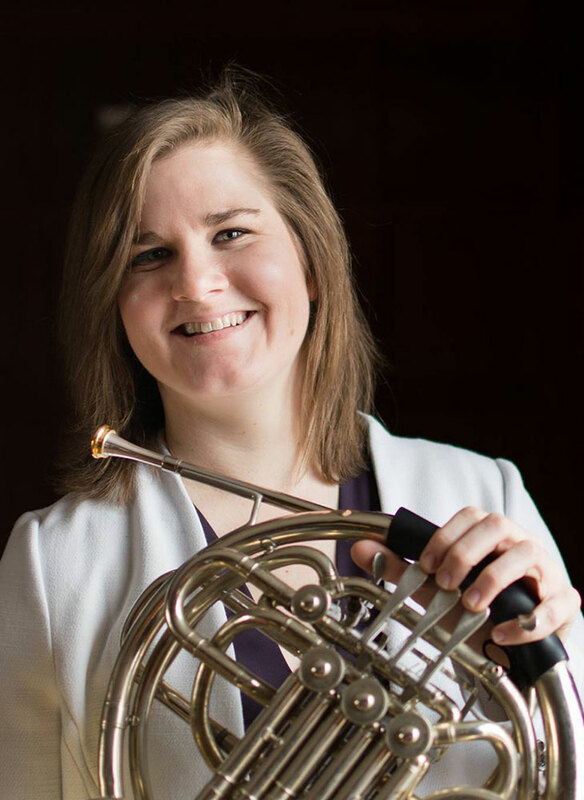 She joined the RPO in 2016 but prior to that, LaBonte was appointed acting assistant principal horn of the Hawaii Symphony Orchestra in 2015. While living and working with the orchestra in Honolulu, she also served as the associate principal horn of the Hawaii Opera Theater and Oahu Choral Society. In addition to the RPO and HSO, she has had the opportunity to perform with orchestras across the country including the New York Philharmonic, Buffalo Philharmonic, New World Symphony, and Syracuse-based Symphoria and is an award-winning soloist who recently made her concert debut with the Eastman Philharmonia. Ms. LaBonte received her Bachelor’s Degree in 2018 from the Eastman School of Music under the tutelage of W. Peter Kurau and is currently working to complete her graduate degree coursework under the same guidance. In addition to her degree studies, she maintains a private studio, is a guest clinician with the Rochester Philharmonic Youth Orchestra and University of Rochester Symphony Orchestra, and is a member of several chamber ensembles including the Antara Winds and the American Wild Ensemble. In all of these endeavors, Nikolette performs on an Elkhart Conn 8D and was recently selected to be a Conn-Selmer Endorsing Artist. Outside of the concert hall, LaBonte is active in promoting classical music throughout the community. She is a faculty member of the Eastman Horn Institute, was a general music instructor with “Kalikolehua,” an El Sistema program, and previously worked as the education coordinator of the Hawaii Symphony. Away from the horn, she enjoys bicycling, hiking, and scuba diving, although she has to reserve the latter for her visits to more tropical climates.